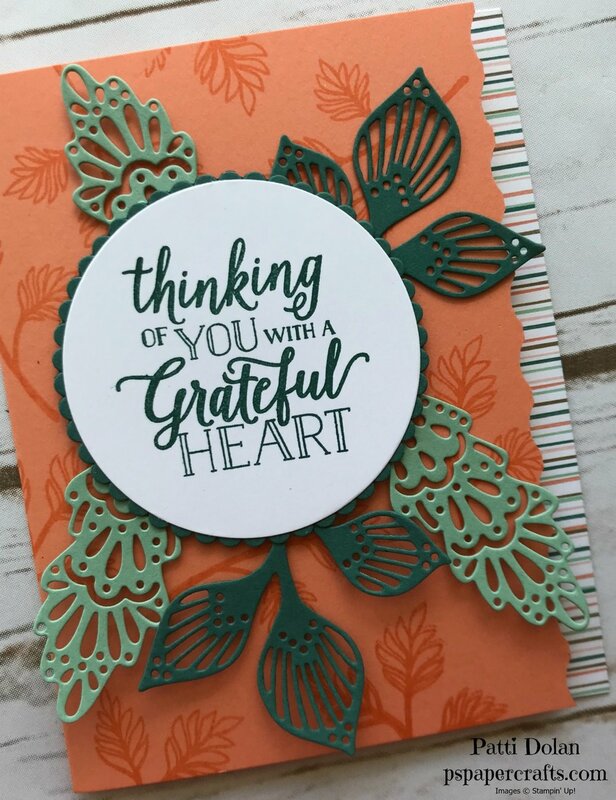 Here’s another easy card I made with the Falling For Leaves Bundle. The colors are Grapefruit Grove, Tranquil Tide and Mint Macaron. I love the Tranquil Tide and Mint Macaron combo. I used the edge die to cut about a quarter inch off the side of the card. I had to do this twice to get across the length of the card. The second time, I fit the die in the grooves and then put a piece of Post-It Note to hold it in place. 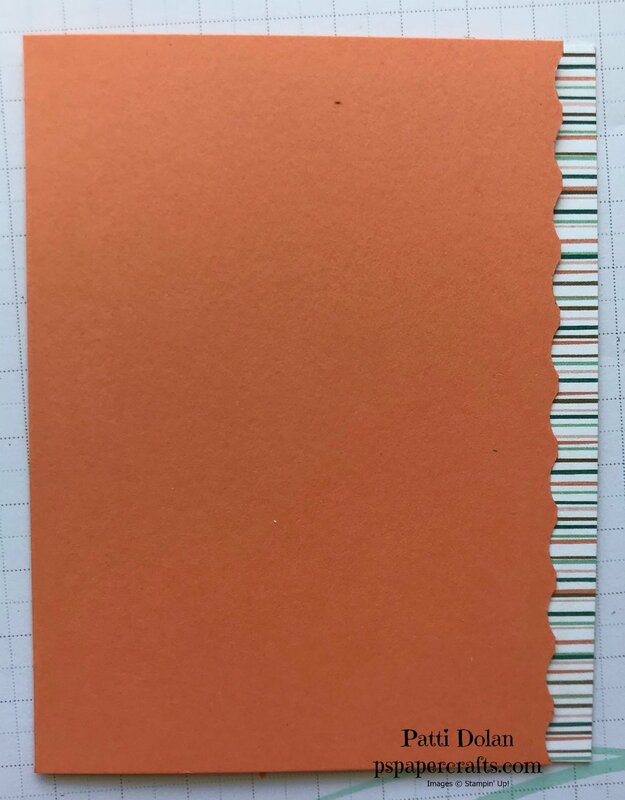 I added a 1/2 x 5 1/2 strip of the striped DSP from Nature’s Poem on the inside edge so it would show up when the card is closed. 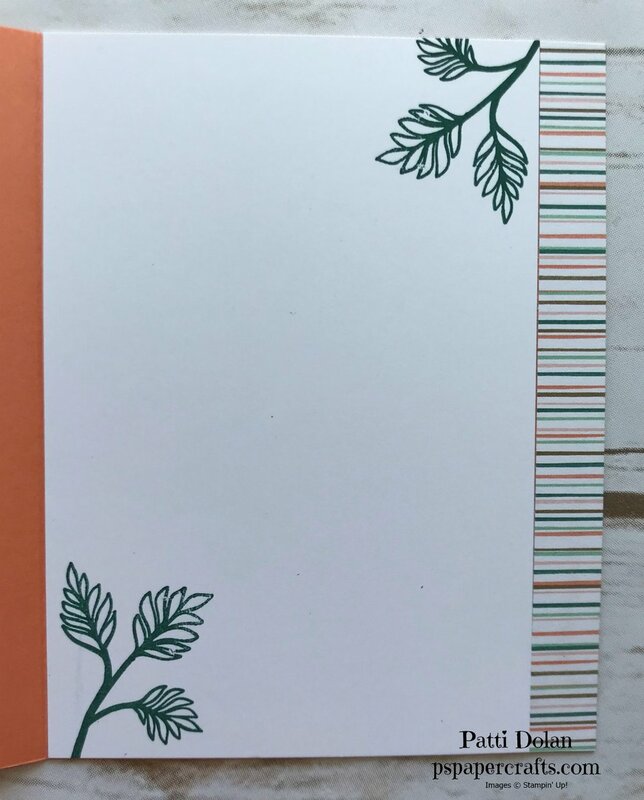 Next I stamped the leaf image randomly on the card front in Grapefruit Grove. 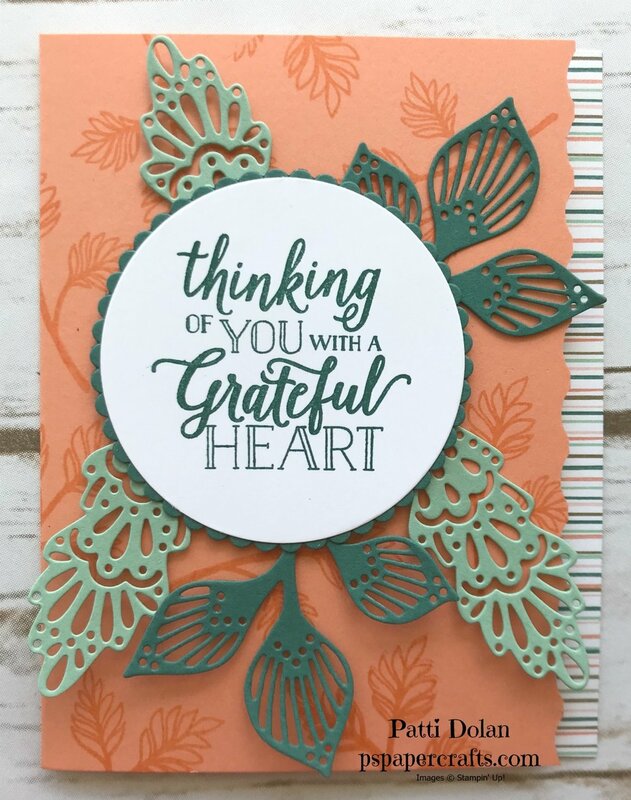 I cut out the other leaf images in Mint Macaron and Tranquil Tide. The sentiment was stamped on a large Whisper White circle in Tranquil Tide and layered on a Tranquil Tide scalloped circle. I adhered the leaf images behind the circle and then adhered that using Dimensionals to the card front. Here’s a look at the inside. The Whisper White piece is cut at 3 3/4 x 5 1/2 to fit along the striped piece.